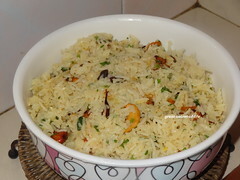 Wash and soak rice for 30 mins. Heat oil / ghee. 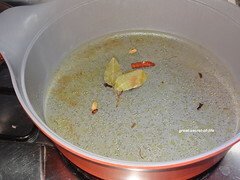 Add bayleaves, Cloves, cardamom Fry till nice aroma released.Add fennel powder and stir for sec. 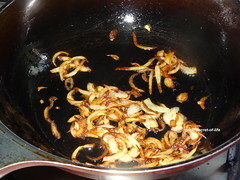 Add water, crushed Saffron, salt and let it boil..
Heat oil and add onion fry till it is crisp. Remove it. 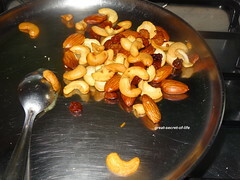 In the same oil add cashews, almonds, raisin and fry till it is brown in color. switch off the flame and keep it aside. 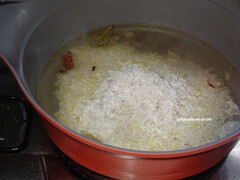 After rice is cooked fluff the rice. 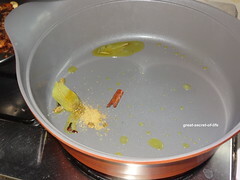 And remove the masala items. 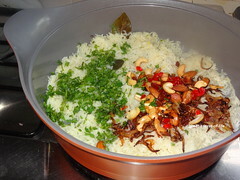 Add fried nuts and onion and mix well. 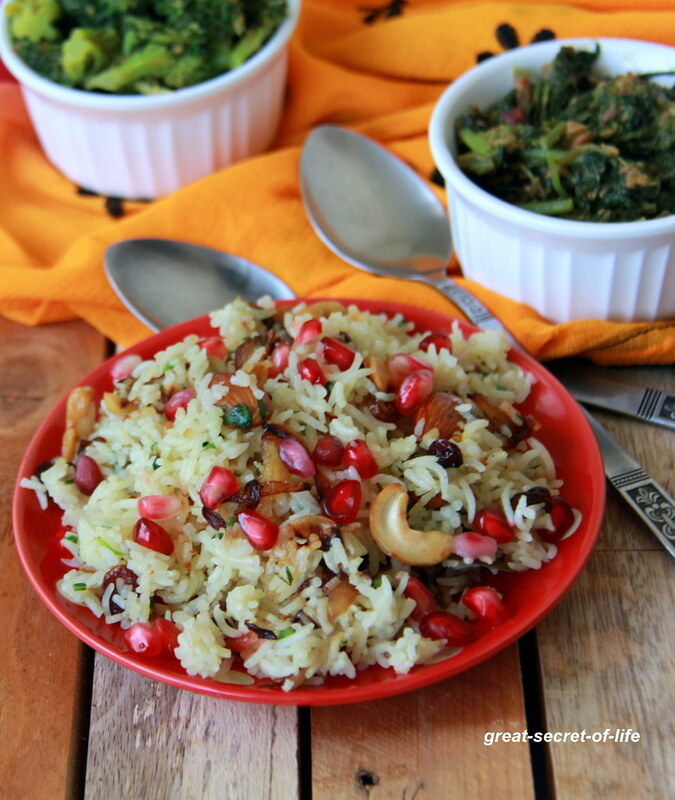 Add chopped cherry and coriander leaves. 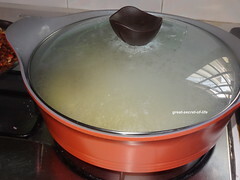 cook the rice till all the water is absorbed and the rice is cooked. when done, fluff the rice. 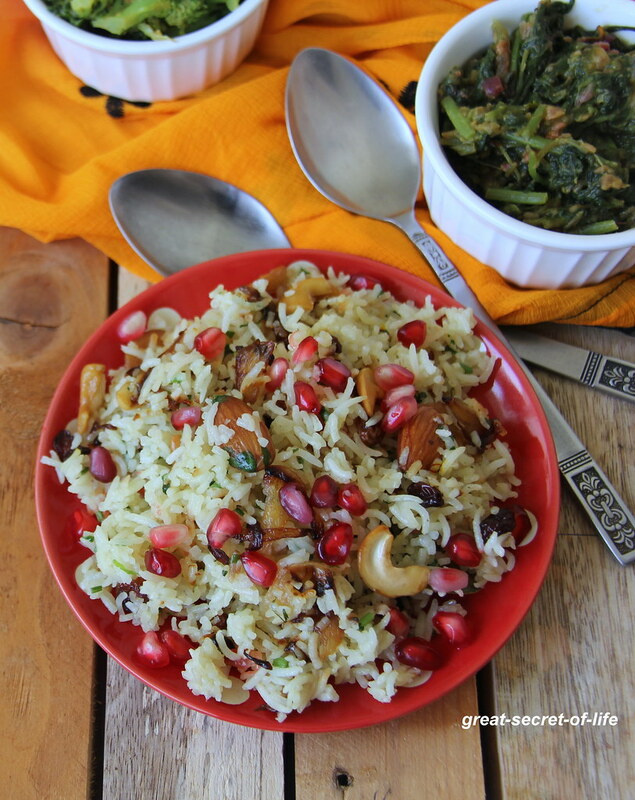 serve kashmiri pulao hot and while serving the kashmiri pulao, garnish with the fried onions, Pomegranate and dry fruits. 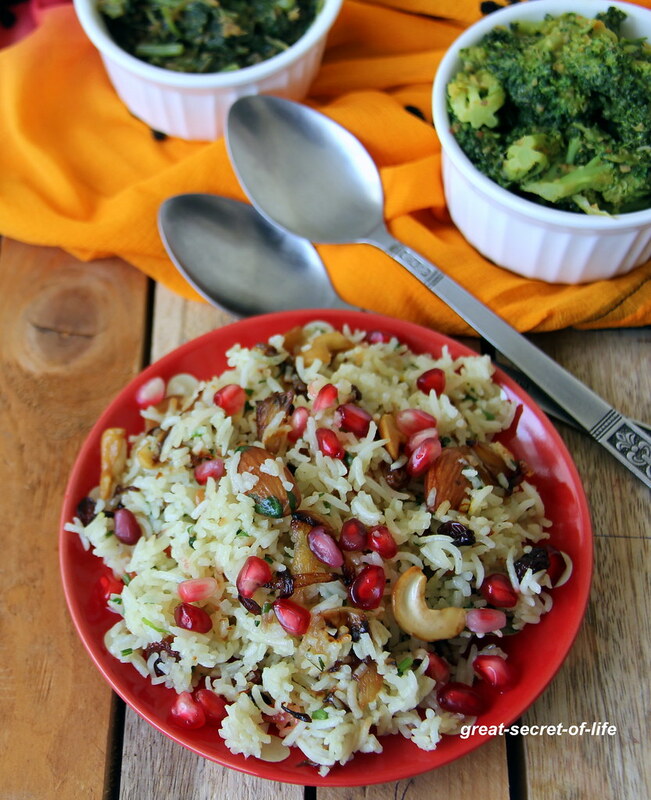 Such a lovely flavorful pulao... looks delicious..